The last time I caught up with my friend Janice, she told me all about her new job. Janice has been involved in the fitness industry for years, but now she’s taken her skills on the road. She visits various businesses in the city to conduct corporate training sessions. She offers one-hour on-site group workout classes with a company’s employees. This is a growing trend across the country. The U.S. Department of Labor reports that more than 79% of companies that employ 100 people or more have instituted some kind of fitness, health, or wellness program for their employees. These programs include exercise classes and nutrition information, along with advice on how to live a healthy lifestyle. 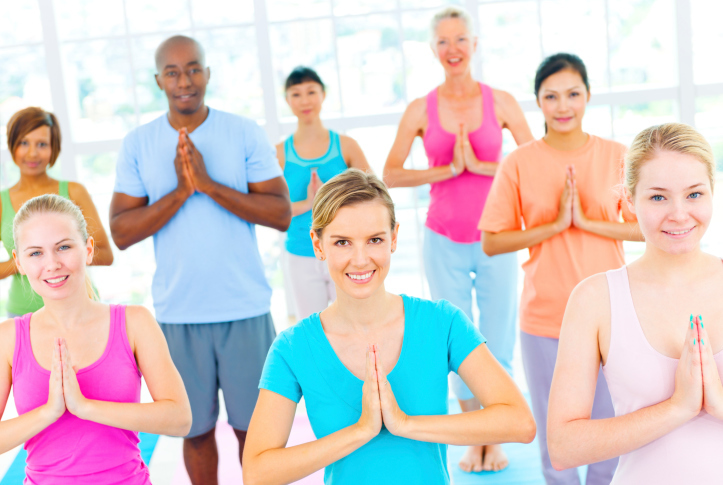 Janice, for example, teaches yoga, stress management, and a variety of other topics to improve the health, lifestyle, performance, and attitude of employees. Let’s face it: often, the reason you might miss out on the gym, feel stressed, or eat poorly is your job. So many jobs in this economy promote an unhealthy, sedentary lifestyle that carries over into personal time. Add in stress and a lack of time to eat right, and your job becomes a direct contributor to weight gain and lifestyle-related diseases, like heart disease and type 2 diabetes. As much as you have to gain by taking part in a company-sponsored program, your employer can see benefits from it, too. Instituting this type of program proves the employer realizes the value of a healthy workforce, so providing employees with the opportunity to reduce stress, get exercise, and eat right leads to a happier, more productive workforce. I urge you to look into what your company offers and to take advantage of any programs that are of interest. If your company doesn’t currently offer a program, pitch the idea to your human resources manager. It’s something fun and social to do with colleagues, it can reduce stress, and it offers an opportunity to get fit, all while saving you money. Mattke, S., et al., “Workplace Wellness Programs Study: Final Report,” United States Department of Labor web site, 2013; http://www.dol.gov/ebsa/pdf/workplacewellnessstudyfinal.pdf, last accessed June 11, 2014. Zamosky, L., “Take advantage of workplace wellness programs,” Los Angeles Times web site, June 8, 2014; http://www.latimes.com/business/la-fi-healthcare-watch-20140608-story.html, last accessed June 11, 2014.